Information has been received from the War Office by Mr and Mrs David Thomson, residing in Graham Street, to the effect that their son, Pte. George Thomson, 2/10 Batt. Royal Scots, attached to 2/8 Warwicks, has died of wounds received in action. Pte Thomson enlisted in the 2/10 Territorial contingent shortly after war broke out, and had been serving at East Linton until about a month ago. A call was then made for volunteers, and he was dispatched with a draft to the front. He had only been in the trenches a few days when he was seriously wounded in the head by shrapnel. He was conveyed to an hospital at the base, where he died about a week later. Pte. Thomson had only just turned 21 years of age, and was employed at Loganlea Coal Pit before he enlisted. Sympathy is extended to his parents in their very sad bereavement. Mrs Smith, Graham Street, Addiewell, has now received the sad news that her son, Pte.George Smith, formerly of the 1/10th Royal Scots, has died of wounds. He sustained a serious wound in the head, and was reported to be dangerously ill. The nurse has now sent home word that Pte. Smith succumbed to his injuries. A telegram confirming the news has also been received. Sympathy will be felt for Mrs Smith in the sad bereavement she has been called upon to bear. 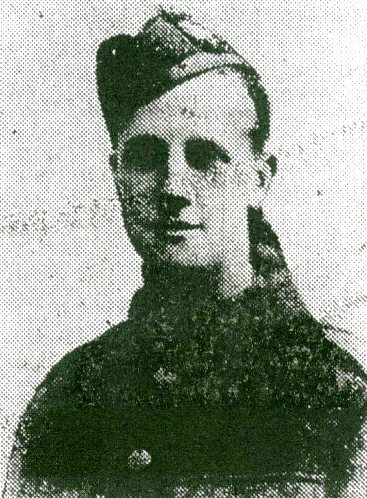 Mr Thomson, Stephenson Street, Addiewell, on Monday received the sad news that his son, Pte. Ernest Thomson, of the H.L.I. had been killed in action. Previous to enlisting, Pte. Thomson was a clerk at Foulshiels Colliery. He was well-known in junior football circles in the district, and was a clever and clean player. Sympathy will be felt for the family circle in their sad bereavement. William M’Arthur - Local Soldier wins D.C.M. Lance-Corporal William M’Arthur of M’Crae’s Battalion, has been awarded the D.C.M. for conspicuous bravery in the field. He joined the above battalion when it was formed in Edinburgh last year, and after a period of training was despatched to France. In a letter home to his wife some time ago, M’Arthur mentioned that he had been recommended for the D.C.M., but did not state what he had done to warrant the receiving of such an honour. It now transpires that during a bombardment of the German trenches, M’Arthur and a comrade approached a dug-out. The comrade guarded the exit, while he entered alone, and compelled the entire company of 40 unwounded and three wounded Germans to clear out, after which they were taken prisoners. Such a deed as this seems unbelievable, but when one hears so much of the falling morale in the German army, it is not to be wondered at. Previous to enlistment, Lce-Cpl M’Arthur was employed in the oilworks, and was president of the oilworkers’ organisation. He was well respected by his fellow-workers, all of whom express admiration for his plucky action. Information has been received from the War Office to the effect that Pte. 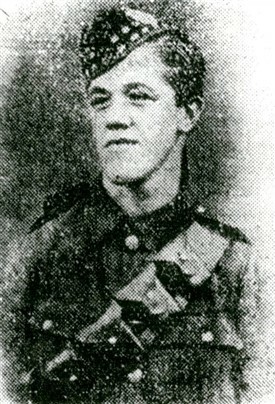 John Corrigan, Royal Scots, has been killed in action while serving with the British Expeditionary Forces in France. Pte Corrigan joined the colours immediately after war broke out, and after a period of training he was dispatched with a draft to the front. He was in all the heavy stages of the earlier fighting, and was also engaged in the present big push up till the time of his death. Previous to enlistment he was employed at Loganlea Coal Pit, where he was highly respected by his fellow workers. Much sympathy is extended to his parents in their sad bereavement. This page was added by Sybil Cavanagh on 21/01/2013. I am currently reseaching about my family from Addiewell, my Nanna, Mrs E Daniels nee Clarkson had 4 brothers, James Clarkson wound up at the Grenadier Guards, but died of wounds in N France, buried in Calais Southern Cemetery aged 34 won The Military Medal, if you would be interested in the full details when I have them, I would be honoured to added them on behalf of my family and the part they played in local Scottish History. Craig, We'd be delighted if you'd add the details of your family's connections to the Great War - or any other conflict. I am afraid Craig Semplis has some of his facts wrong. His Nan (Elizabeth Daniels) was my mum and she did have four brothers but none of them died during the first World War nor, for that matter, the Second.